On Earth, auroras are mainly created by particles originally emitted by the Sun in the form of solar wind. When this stream of electrically charged particles gets close to our planet, it interacts with the magnetic field, which acts as a gigantic shield. While it protects Earth’s environment from solar wind particles, it can also trap a small fraction of them. Particles trapped within the magnetosphere — the region of space surrounding Earth in which charged particles are affected by its magnetic field — can be energised and then follow the magnetic field lines down to the magnetic poles. There, they interact with oxygen and nitrogen atoms in the upper layers of the atmosphere, creating the flickering, colourful lights visible in the polar regions here on Earth. However, these auroras are not unique to Earth. Other planets in our Solar System have been found to have similar auroras. Among them are the four gas giants Jupiter, Saturn, Uranus and Neptune. Because the atmosphere of each of the four outer planets in the Solar System is — unlike the Earth — dominated by hydrogen, Saturn’s auroras can most easily be seen in ultraviolet wavelengths; a part of the electromagnetic spectrum which can only be studied from space. Hubble allowed researchers to monitor the behaviour of the auroras at Saturn's north pole over an extended period of time. The Hubble observations were coordinated with the “Grand Finale” of the Cassini spacecraft, when the spacecraft simultaneously probed the auroral regions of Saturn. The Hubble data allowed astronomers to learn more about Saturn’s magnetosphere, which is the largest of any planet in the Solar System other than Jupiter. The images show a rich variety of emissions with highly variable localised features. The variability of the auroras is influenced by both the solar wind and the rapid rotation of Saturn, which lasts only about 11 hours. On top of this, the northern aurora displays two distinct peaks in brightness — at dawn and just before midnight. The latter peak, unreported before, seems specific to the interaction of the solar wind with the magnetosphere at Saturn’s solstice. The main image presented here is a composite of observations made of Saturn in early 2018 in the optical and of the auroras on Saturn’s north pole region, made in 2017, demonstrating the size of the auroras along with the beautiful colours of Saturn. 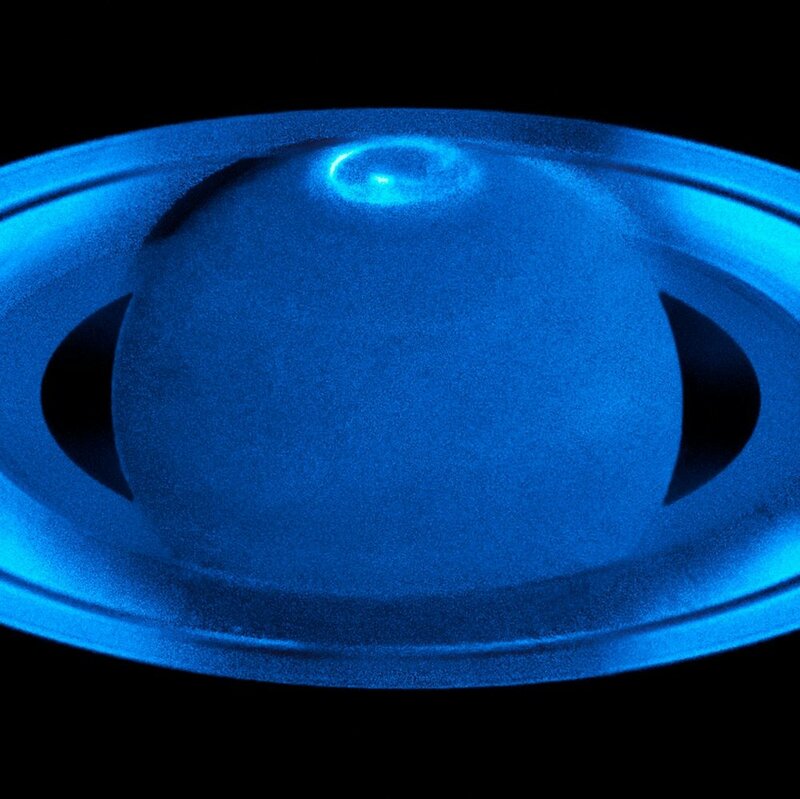 Hubble has studied Saturn's auroras in the past. In 2004, it studied the southern auroras shortly after the southern solstice (heic0504) and in 2009 it took advantage of a rare opportunity to record Saturn when its rings were edge-on (heic1003). This allowed Hubble to observe both poles and their auroras simultaneously. Newer PostHealth Check: what are nightshade vegetables and are they bad for you?